These free financial planning tools and calculators are provided to be informational and educational tools only, and when used alone, do not constitute investment advice. We strongly recommend that you seek the advice of a financial services professional before making any type of investment. JW Financial Advisors LLC is not responsible for any human or mechanical errors or omissions. 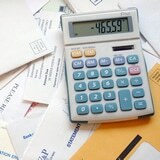 Calculate your total credit card debt.